in Everglades National Park. Color palette sets the mood in blues, neutral greens and lavender.Framed in custom silver toned frame. 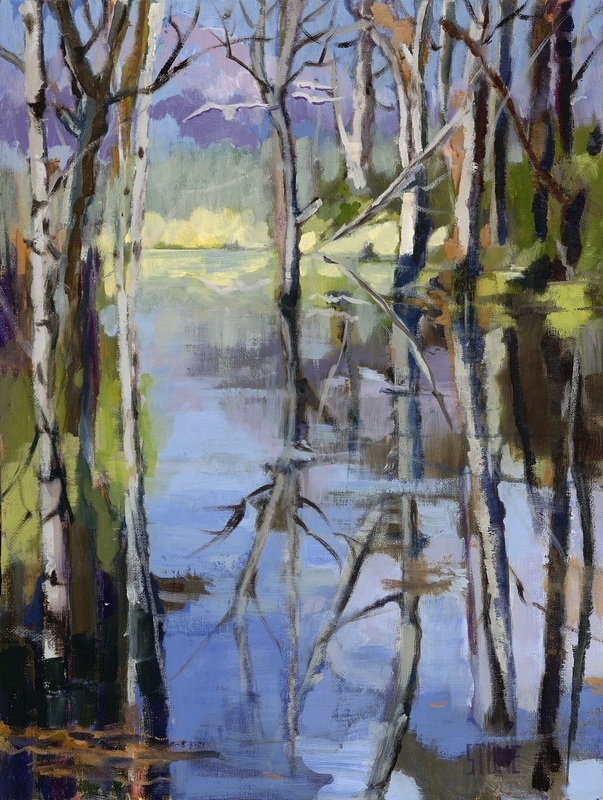 This work is very peaceful and can be enlarged substantially for giclée reproduction on canvas.